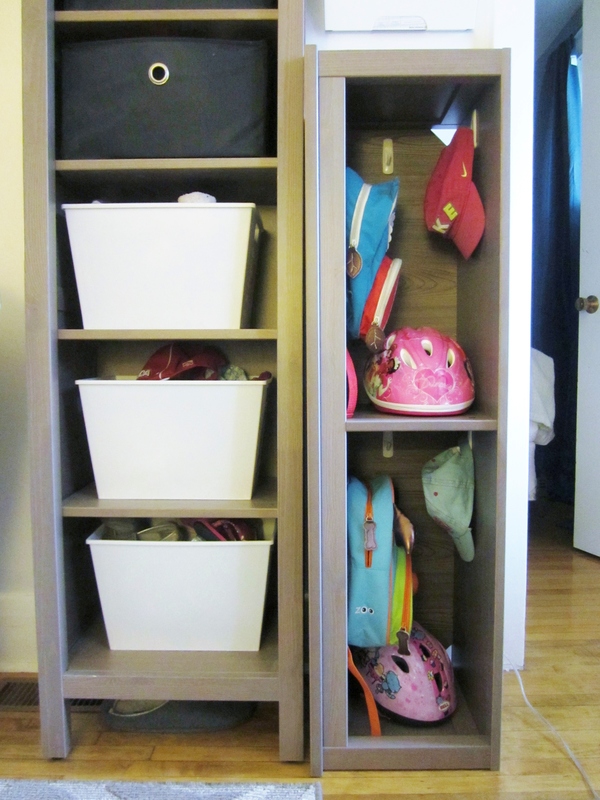 Re-purposing Furniture – Ikea Hack! M and I have been hard at work on our living room. In addition to painting, we also shuffled around some furniture. 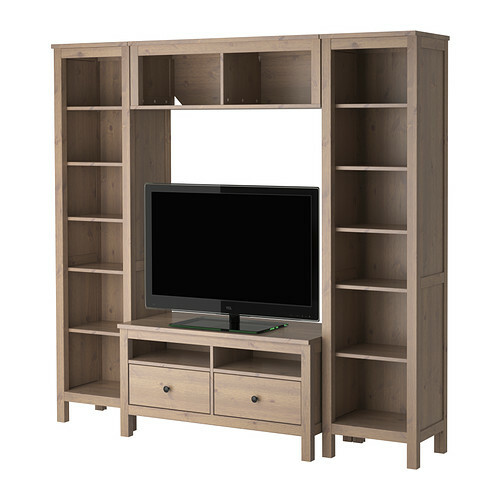 We were using the Ikea Hemnes storage combination as our tv unit but it was big and bulky. We decided to shift the unit by our front door and use as our front hall ‘closet’ because our house is small and we don’t have one. Unfortunately, the unit was quite large and we didn’t have space for the whole thing without spilling into our sitting area. As a result, we were left with the bridging shelf which couldn’t be used because there weren’t 2 tall shelves to anchor it to. M and I had a bit of an epiphany though and decided to turn it on it’s side and use it a cubbies for the girls! We added 3 sticky hooks to each level so the girls can hang their backpacks, hats and coats when the weather cools down.